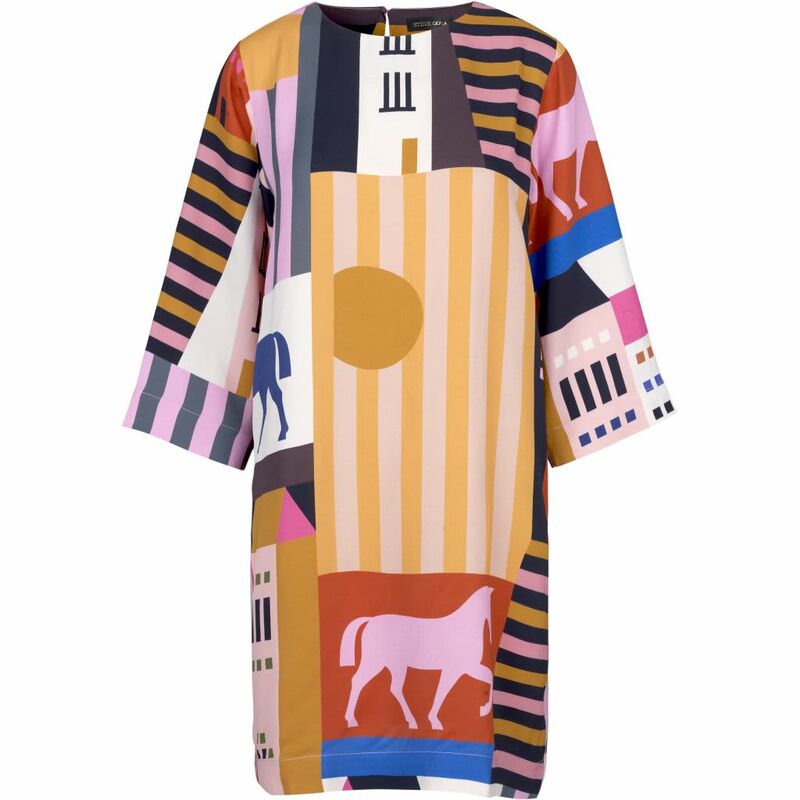 Beatrix Dress in the City print. The loose cut silhouette and the wide 3/4 sleeves creates a relaxed and feminine look to this dress. Features a keyhole button closure in the back and mid-thigh length.